The Helena Senators open up the 2019 season by hosting the Billings Royals in a non-conference matchup. Opening pitch is a 1:00 p.m. Tickets are available at the gate or through any Helena American Legion Player. A full concessions area, along with beer and wine, is available during the game. 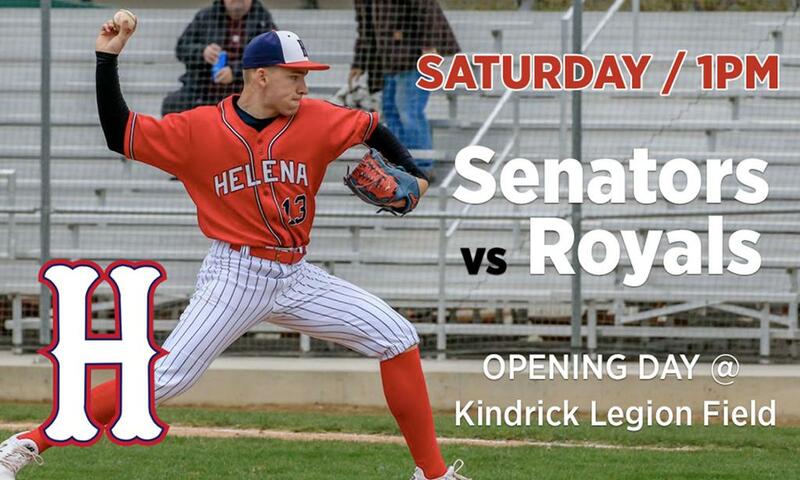 Come on out to the ballpark and celebrate spring with America's pasttime, and cheer on your hometown Helena Senators!